With the World Economic Forum kicking off in Davos, Switzerland -- where the super-rich are already decrying Alexandria Ocasio-Cortez's massively popular 70% tax-rate on earning over $10,000,000 -- it's a great time to revisit Anand Giridharadas's must-read 2018 book Winners Take All: The Elite Charade of Changing the World, in which the former McKinsey consultant and Aspen Institute fellow catalogs the way that the super-rich have starved their host-nations of the funds needed to operate a functional civilization, and then laundered their reputations by dribbling back some of that looted booty in the form of "philanthropic donations" that always seem to redound to their personal benefit. 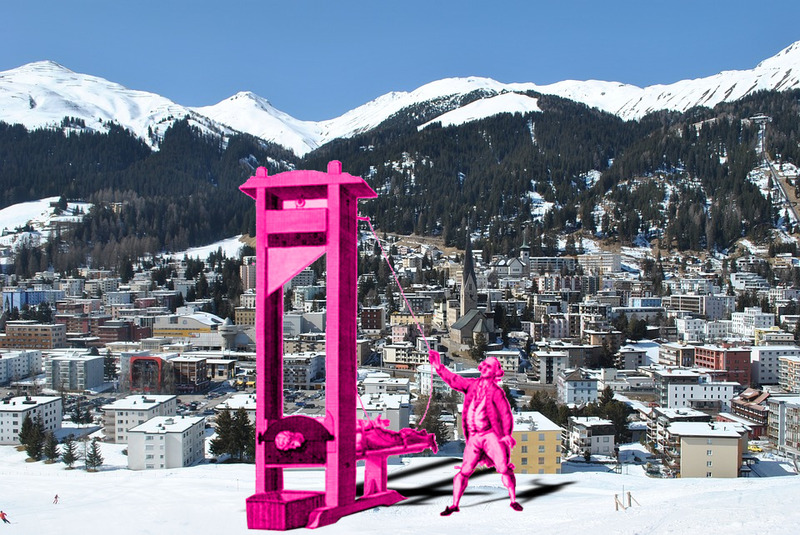 In a long essay adapted from Winners Take All, published in The Guardian, Giridharadas uses Davos as a jumping off point to explain his thesis and update it for 2019's facts-on-the-ground. While this essay is no substitute for reading Giridharadas's book, it's an excellent introduction to his ideas.